Bausch + Stroebel Machine Company - Bausch + Stroebel Machine Company is your one stop for pharmaceutical production lines for the processing of vials, syringes, cartridges, ampoules and bottles in bulk or in ready-to-use packaging..
Bausch + Stroebel Machine Company is your one stop for pharmaceutical production lines for the processing of vials, syringes, cartridges, ampoules and bottles in bulk or in ready-to-use packaging. “Precision to the Highest Standard” is our motto. 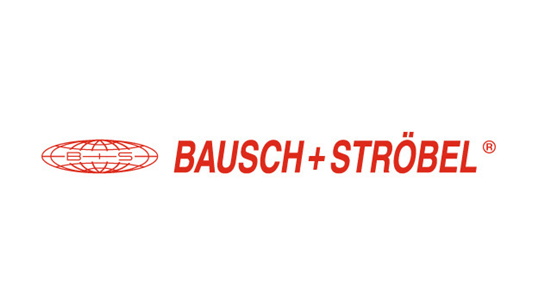 Bausch + Stroebel have developed into an international enterprise and are one of the leading equipment manufacturers in the pharmaceutical packaging industry. We design and build equipment to support the pharmaceutical industry from the product development phase through final commercialization production. Our range of products is for primary packaging (liquid and powder filling) through the labeling operation. The equipment we offer also includes safety syringe assembly and labeling plus pen injectors labeling. In addition, we now offer 100% inspection and leak detection capabilities for different types of containers with our recent addition of WILCO AG into the Bausch + Stroebel family of operations. We are currently targeting post-installation cost efficiencies into our equipment design to ensure the highest quality and exceptional economics for our customers. One example is our Efficient Customized Operation (ECO) design for our equipment is shown with our different technologies used in the production of aseptic products. The Bausch + Stroebel Machine Company is developing new technology for your future with “Precision to the Highest Standard”!